Have you been looking for Data scraping tools to easily retrieve data from web pages? Well, then, you have reached your destination. We have gathered some of the best Data Scraping Tools for you that can decrease your efforts to a certain level and thus increase the productivity of your work. All of them are easy to install and understand. A person with a minimal knowledge of these tools can operate them without any difficulty. Available under two options either as a free Google Chrome Extension or as an Enterprise Data Extraction Service, Webscraper.io, is a must have tool for data extraction from dynamic web pages. It extracts data that can later be exported as a CSV or can be stored in a Couch DB. Business intelligence is the key behind this tool. You can migrate data from legacy systems. The various web scraping activities supported by Screen Scraper are track and report on financial trends, generate sales leads, monitor social media etc. You can store extracted data in a CSV, XML or a database. 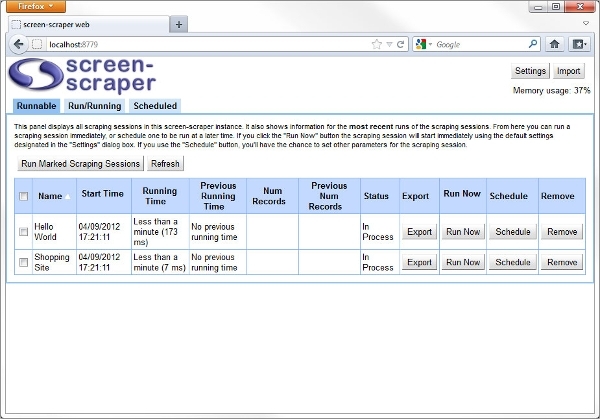 This web scarping software helps you extract data from web pages at a faster rate. No prior programming knowledge required. It has a point and click interface. It provides real time preview and data management. You can provide the data format in which you want to store the extracted data. 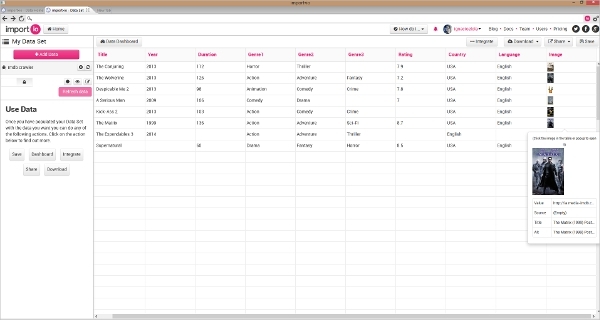 An easy to use data scraping tool with visual project design that requires no coding. A point and click interface that records the scrape project. You can use link structures to navigate through site pages. Other features offered are Keyword Input lists, nested data elements, multi-threaded crawls, and Export formats. An open source application framework for structured data extraction from websites. You can build and run your own web spiders and can deploy them to scrapy cloud. It is fast, powerful and easily extensible. It has an interactive shell console that works on Python. It supports formats JSON, XML etc. 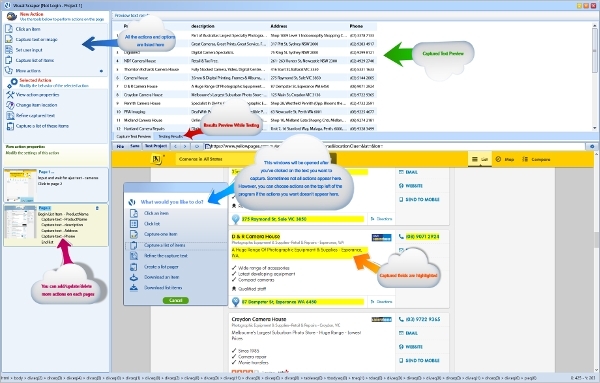 Data ToolBar is termed as the world’s easiest data scraping tool. It automates data extraction from your browsers. All you need to do with data toolbar is to point at the data fields from which you want to collect the data and the tool will do the rest for you. When it comes to most popular Data Scraping Tool for 2016, Dexi.io has to be the name. It is a web data processing tool for professional that uses robotic process automation for data extraction and visual data pipe tool to normalize data. You can connect data from any data source. What are Data Scraping Tools? First we need to know what exactly data scraping is? So it is a technique to extract and transform the unstructured data from web pages into a structured form and store it into a database or in other formats. The tools that incorporate this technique are known as data scraping tools. They reduce the time and complexity of the data extraction task by using a point and click interface which is easy for even a novice to operate on as it does not require any coding. A real time view of the process makes it easier for the user to understand and accumulate. The various formats available to store the extracted data broadens the usage area for the user. And many of them are available free of cost which is an added advantage. There are many scraping tools available out there and you need not worry about their usage, installation or understanding as they all are easy to operate. Some of them are available as an extension for your browser and some as a complete tool. 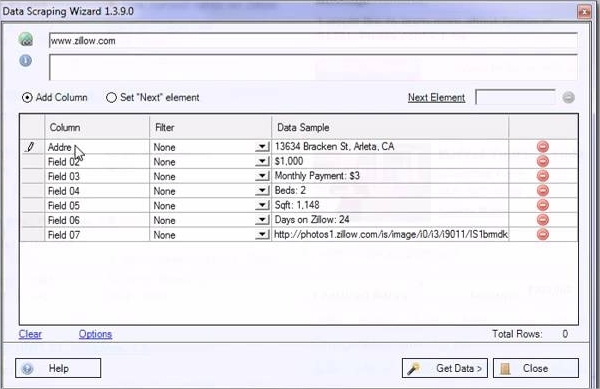 You can go for any version and make that hectic task of data extraction easy for yourself.